A Royal Decree was issued approving the changes made to the current Cabinet, which is headed by Omar Razzaz. Ghazi Zaben as Minister of Health. Falah Al Omoush as Minister of Public Works and Housing. Mohammad Abu Rumman as Minister of Culture and Minister of Youth. Ibrahim Shahahdeh as Minister of Agriculture and Minister of Environment. Bassam Talhouni as Minister of Justice. Basma Ishaqat as Minister of Social Development. 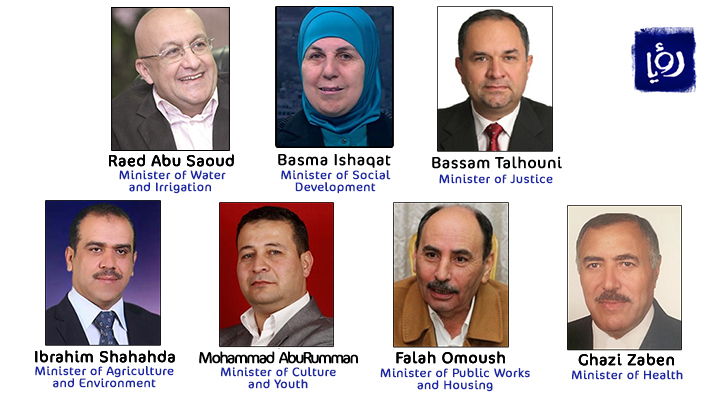 Raed Abu Soud as Minister of Water and Irrigation. Majd Shweikeh as Minister of State for Institutional Performance Development. Azmi Mahafzah as Minister of Education and Minister of Higher Education and Scientific Research. 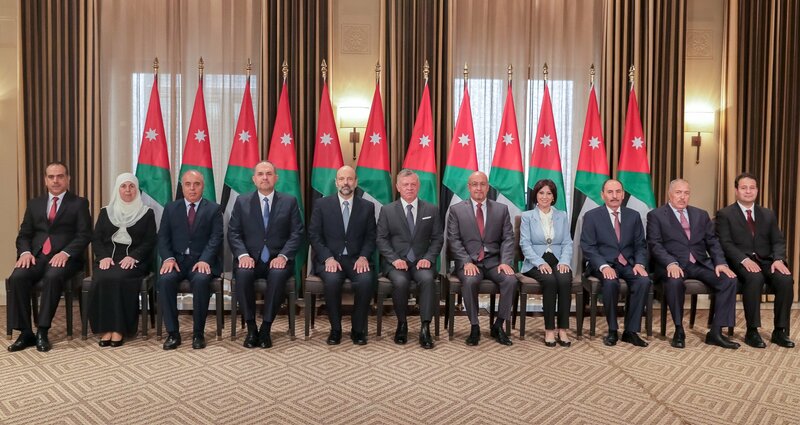 The new Cabinet members were sworn in before His Majesty King Abdullah at Al Husseiniya Palace. Royal Hashemite Court Chief Yousef Issawi, and Adviser to His Majesty and Director of the Office of His Majesty Manar Dabbas attended the swearing-in.